Pictured above (L-R) are SK Tim Horne, SK Curt Shaughnessy, and SK Jeff Ford. 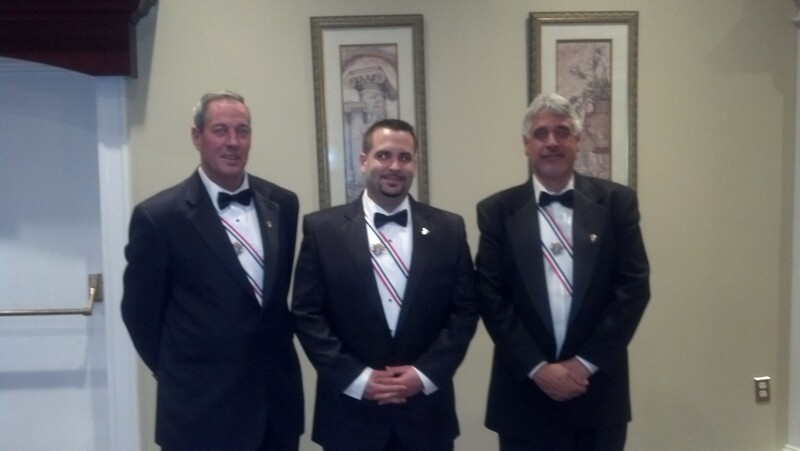 The 4th Degree ceremony was followed by a reception at the Amber Room Colonnade. Msgr. 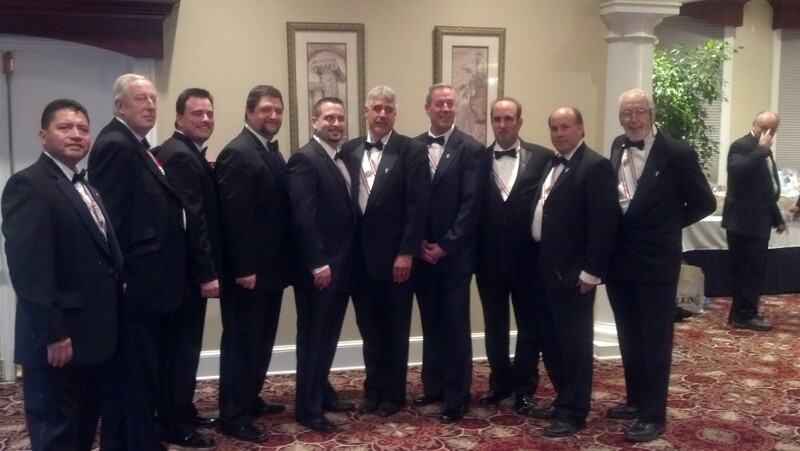 Robert Weiss, Pastor at St. Rose of Lima in Newtown, was honored at the dinner and gave an inspiring speech. Thanks to those Sir Knights who dressed in regalia or came to observe the exemplification!